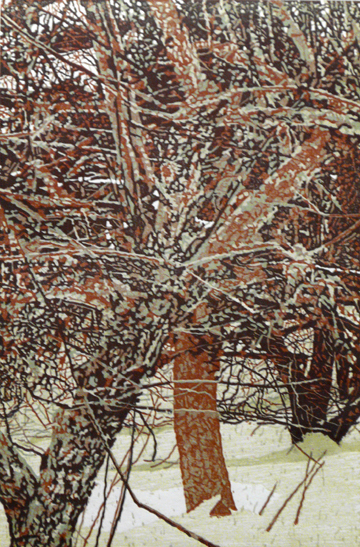 Washington Printmakers Gallery is now accepting entries for the 2014 National Small Works exhibition, which will take place in August. This exciting show features small prints by 50 artists who live and work in studios located across the United States. This year’s juror – Jack Rasmussen, Director and Curator, American University Museum at the Katzen – will review all work that is submitted on or before our deadline, which is Saturday, May 31. About NSW – The National Small Works is an annual juried exhbition that has been hosted by Washington Printmakers Gallery every August since 1997. 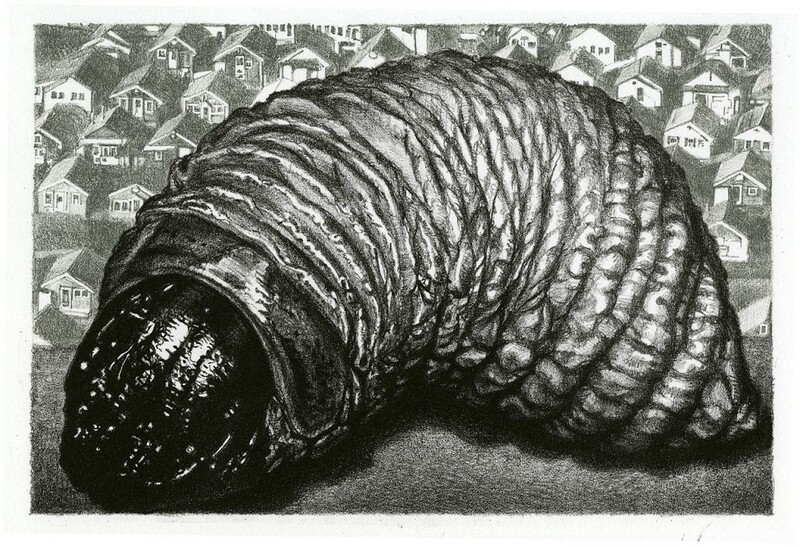 Featuring contemporary prints, NSW exhibits an impressive array of technique as well as subject matter by limiting the size of print entries (maximum size of 170 square inches). Each year a curator from an area institution acts as juror. Past jurors have included Robert K. Newman (owner and director of the Old Print Shop in New York, NY); Eric Denker (Senior Lecturer National Gallery of Art); Linda C. Simmons (Curator Emeritus, The Corcoran Gallery of Art); Katherine L. Blood (Curator of Fine Prints, Library of Congress); Helen Frederick (Founder and longtime director of Pyramic Atlantic); and Philippa Hughes (Founder and Chief Creative Contrarian of the Pinkline Project, as well as DC Commissioner for the Arts and Humanities); to name a few. This exhibition is open to any artist 18 years of age or older residing in the United States of America. Submitted works must be: Original hand-pulled or digital inkjet prints; completed within the past two years; no larger than 170 square inches (image); and, no wider than 18″ (frame). Photographs will not be considered. Please note: All prints exhibited at WPG are original works of art created by the artist. Archival, signed, limited-edition inkjet prints are acceptable, as long as the image was initially created by the artist directly on the computer. Reproductions of existing artwork in any media are not acceptable. For more information, to view the full NSW prospectus (PDF), or to submit your entries, please visit our overview page for this competition. Press Room Mini Solos: Ok, we had to plug one more of our own. We are seeking artists age 18+ working in printmaking, papermaking, and book arts for our 2014 Press Room exhibition season. This 10×17 former vault is a great place to show a suite of prints or the beginning of a new body of work. Applications are due August 17. 14th Annual Will’s Creek Survey-put on by the Allegheny Arts Council in Maryland, this exhibition is a juried exhibition of contemporary artwork that is open to visual artists from across the United States, juried this year by Lauren Schell Dickens: assistant curator of contemporary art at the Corcoran Gallery of Art. Over $5,000 in artist awards (including $2,000 for Best of Show) are at stake. Entry deadline is July 1. Vox IX: An exhibition of emerging artists at Vox Populi Gallery, this year’s jurors are artist Hilary Harkness and arts writer Hunter Braithwaite. There are no prizes, but Vox takes no commission on any sales made. Deadline is June 7. Posted on May 16, 2013 by wpgmembers | Comments Off on NSW Deadline next Wednesday! 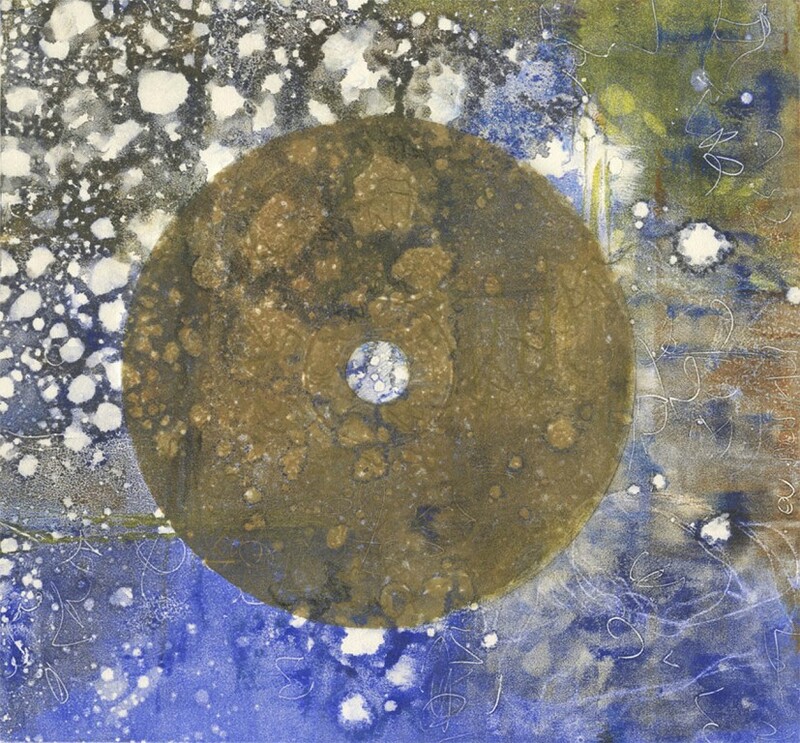 NSW 2010 winning print “Mandala” by Kiyomi Baird. This year’s juror is Philippa Hughes of the Pinkline Project. In addition to founding this calendar/blog, she hosts the very popular Cherry Blast party every year and serves as a DC Commissioner for the Arts. Ms. Hughes will be picking the 50 prints that comprise the exhibition, and then the winners from those 50. First prize is a solo show in August of 2014. You can see all the details about the exhibition and the call for entries here. Have some other questions? Check out our FAQ. Good luck! Comments Off on NSW Deadline next Wednesday! 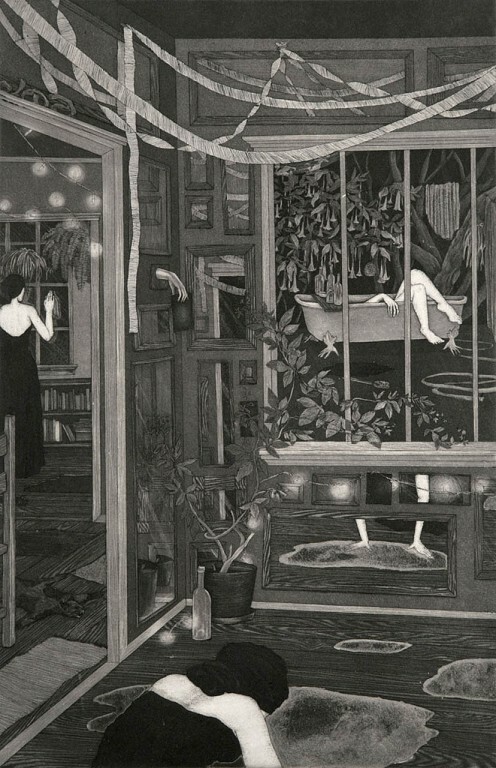 NSW 2012 Grand Prize Winner: “Not the Center of the Universe” by Cianna Valley (California), etching, aquatint, and spitbite. Director Annie Newman will be out of town on the original deadline–which just didn’t seem fair for anyone having any last-minute registration problems. So, we’ve extended the deadline to Wednesday, May 22 for National Small Works Entries. Remember, this year’s juror is Philippa Hughes of the Pinkline Project and the grand prize is a solo show in August of 2014. You can read about our other prizes, as well as how to apply, at our website. We are about 3 weeks out from the National Small Works application deadline. That sounds like a long time, but we’re about to hit a busy time of year–graduations, weddings, Mother’s Day, Cinco de Mayo, the battle against allergies–these are just a few things that might distract you from getting your prints submitted in time. So, we suggest going online this weekend to submit your application. This year’s juror is Philippa Hughes, founder of the Pink Line Project and DC Commissioner for the Arts and Humanities. If she picks your work for the show, you’re in the running for a solo show in 2014, a $200 purchase award from Graphic Chemical & Ink, Co, and more. So, document your work if you haven’t already, and submit your prints to get in the running! Are you thinking of applying to National Small Works? Remember that April 17 is the deadline for early bird submissions, which carry the reduced fee of $20/4 images. Can’t quite get everything together by then? (We know, sometimes that plate needs to go back in the acid bath just one more time…) Don’t worry, the final deadline for submissions is May 18, but from April 18 til then the entry fee is $30/4 images.